I got to meet this sweet girl a few weeks ago and she was just the cutest thing. I am partial to little girls with lots of hair, it reminds me of when my sweet girl was born. 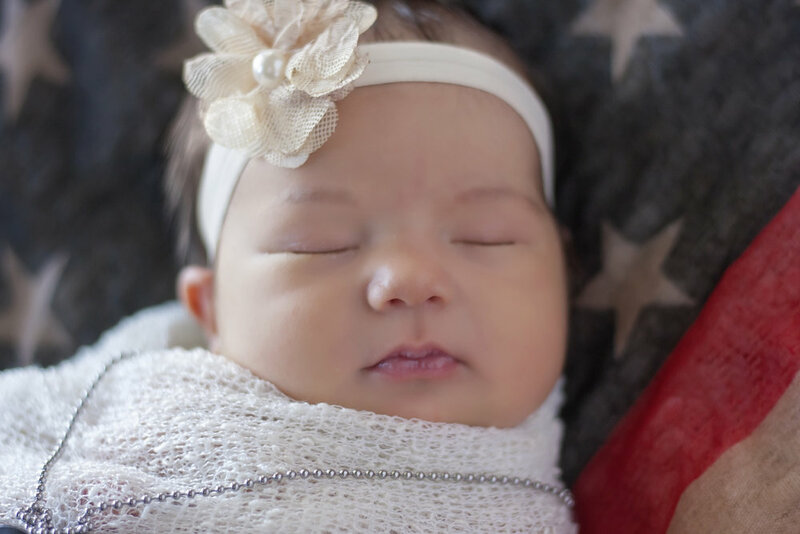 Khloe is the daughter of a daddy who is in the Marines and we wanted to commemorate that with some of these shots. Luckily momma brought a flag scarf and daddys dog tags and we came up with something super special. I'm so glad I got to meet Ms. Khloe and can't wait to do her milestone session!